3 Create and share surveys to gain meaningful data. 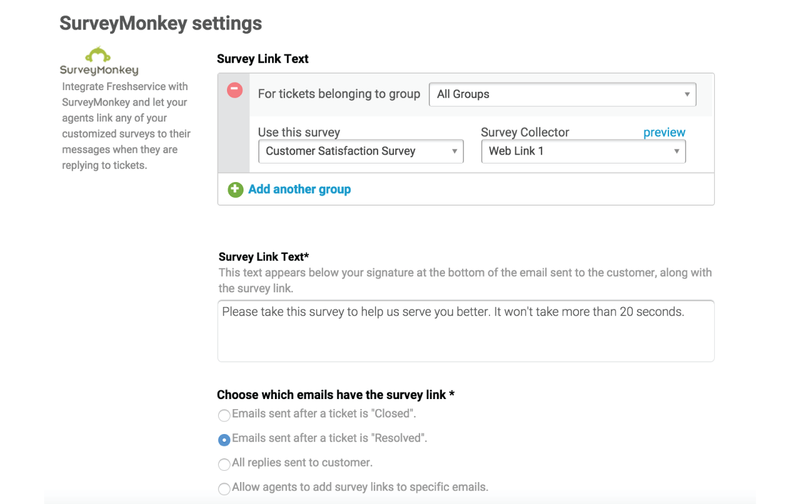 3 Attach a survey to an existing ticket, or define a scenario under which a customer is invited to take a survey (for example when a ticket is closed or resolved). Integrating SurveyMonkey with Freshservice allows customers to immediately log their experiences and provides you with valuable insight on what your customers want, or where you need improve.